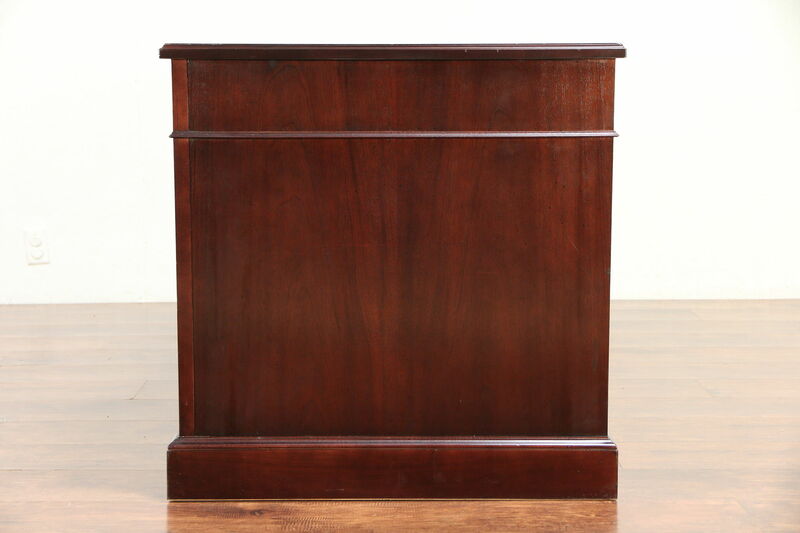 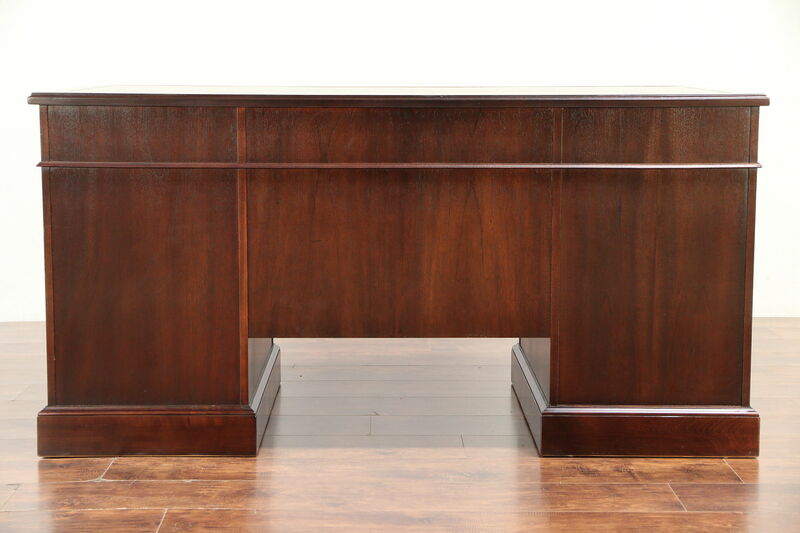 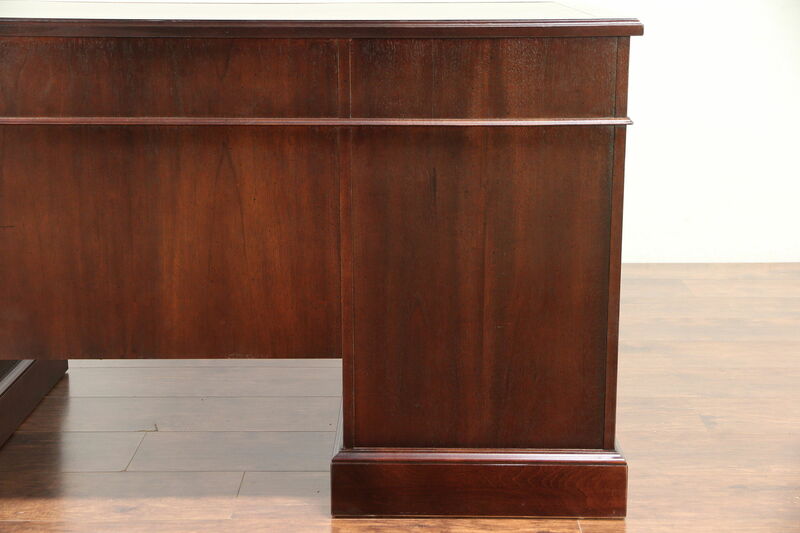 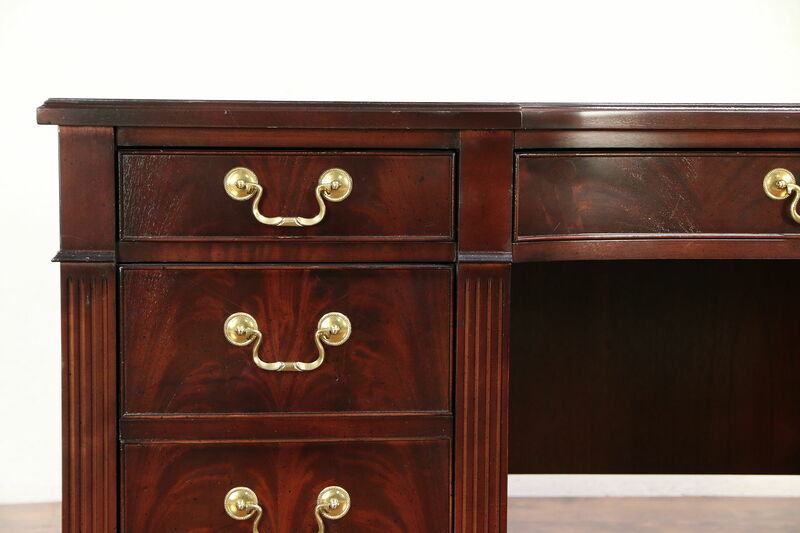 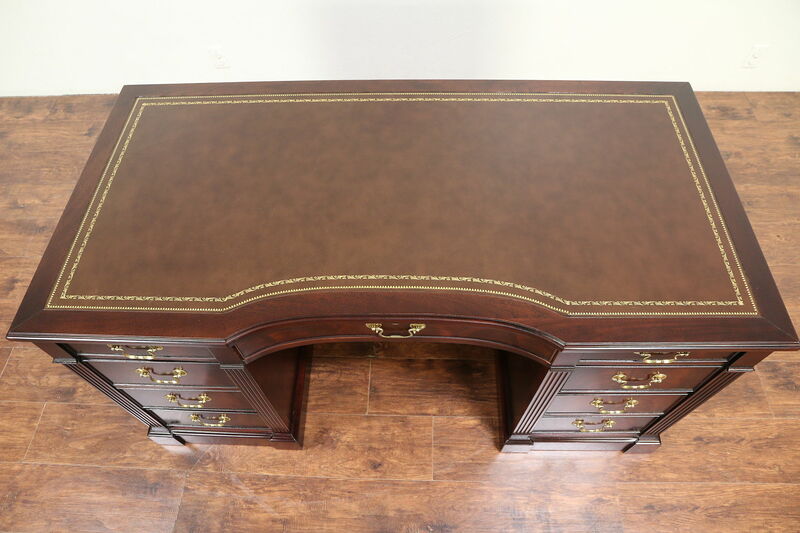 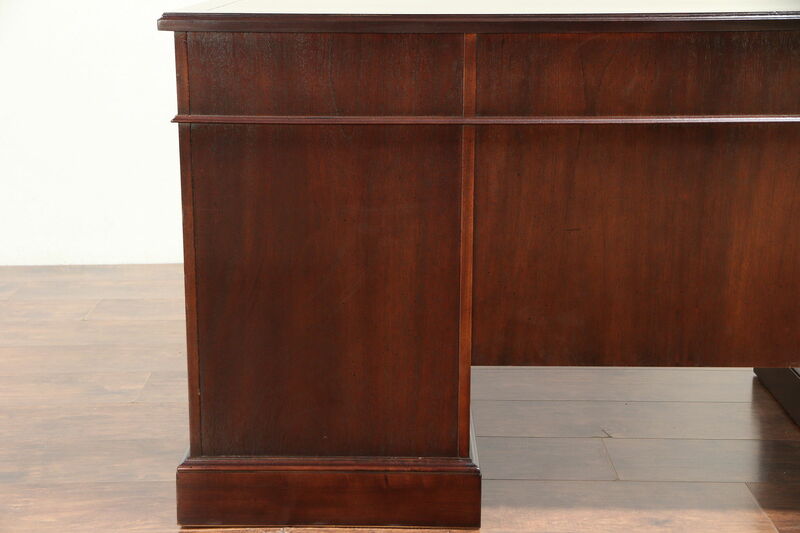 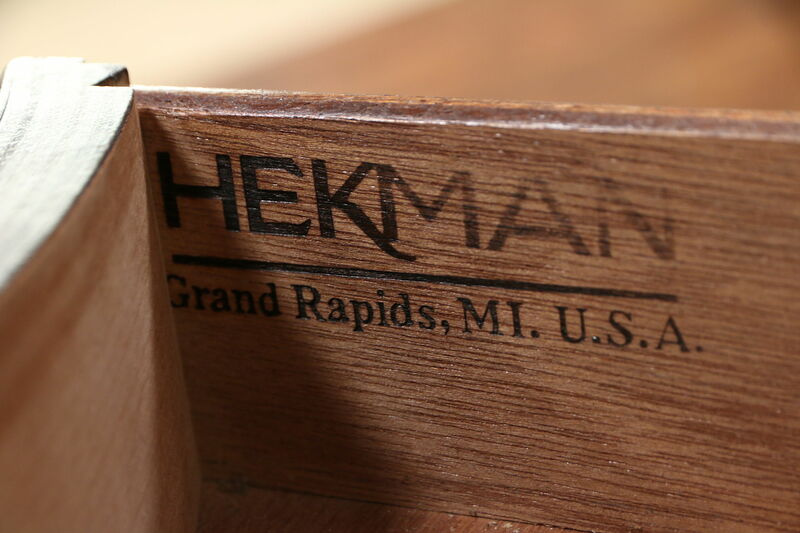 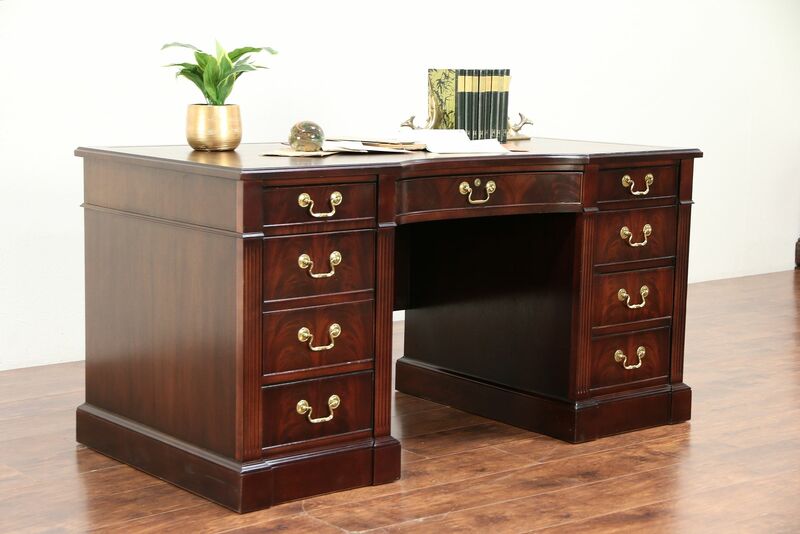 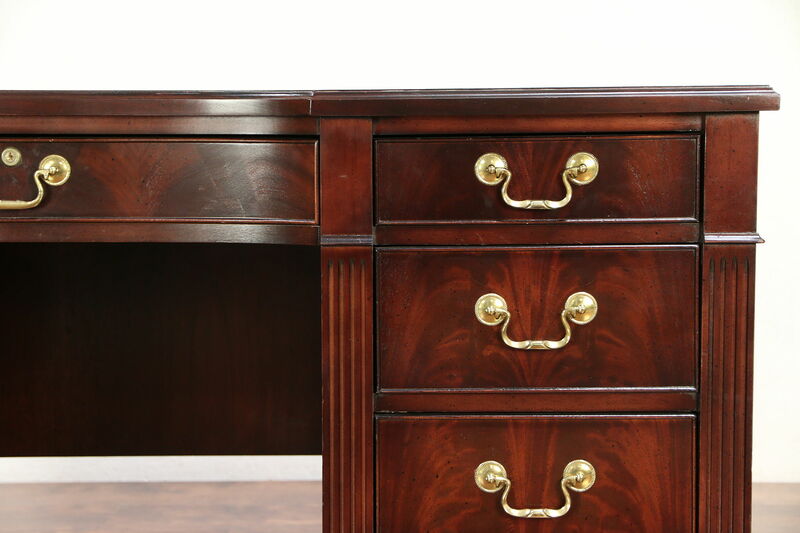 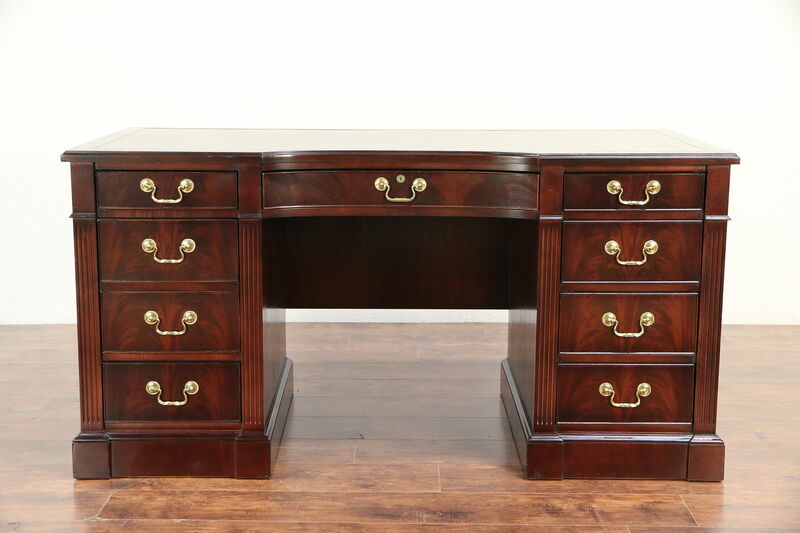 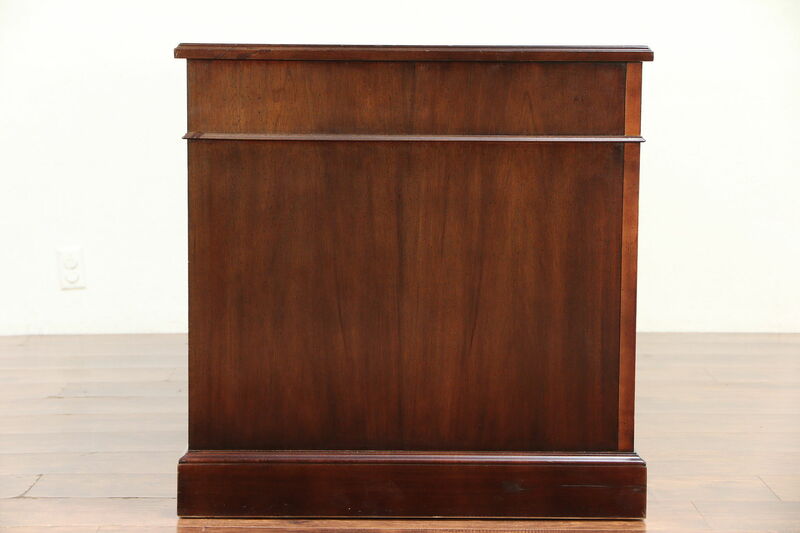 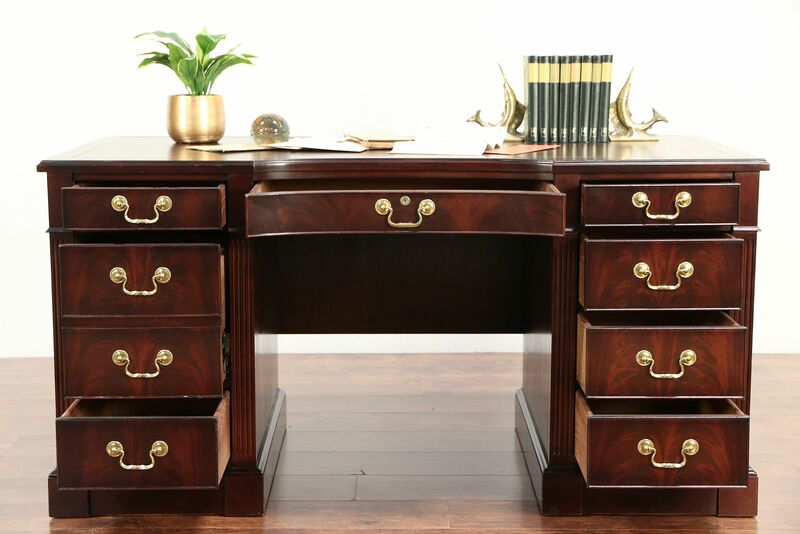 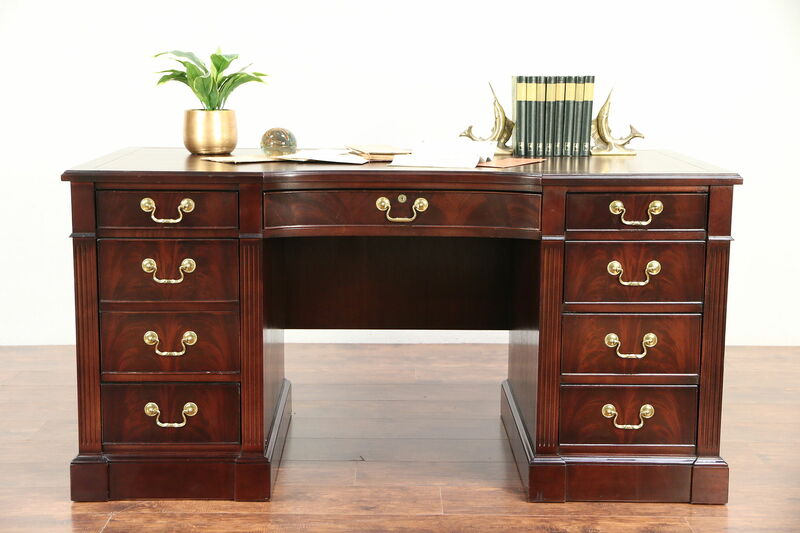 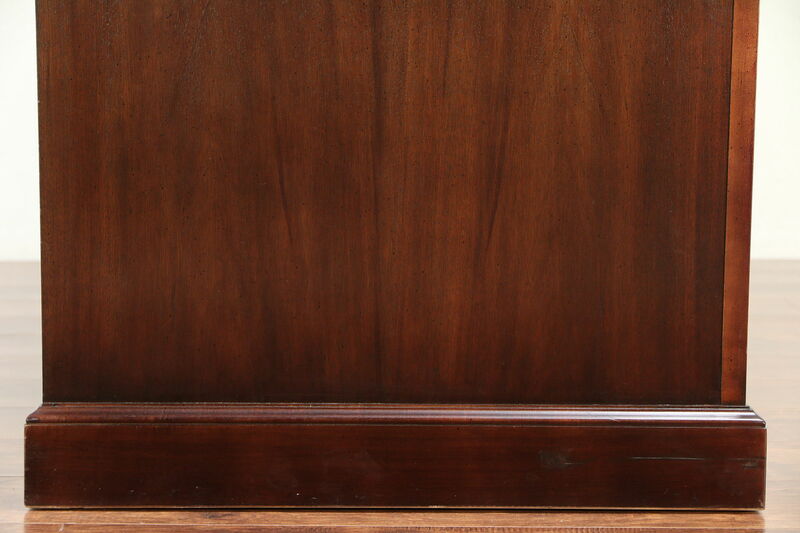 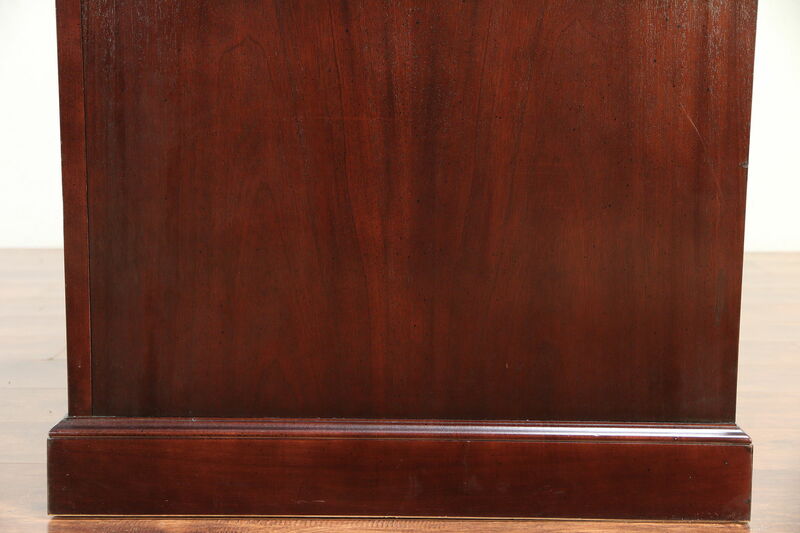 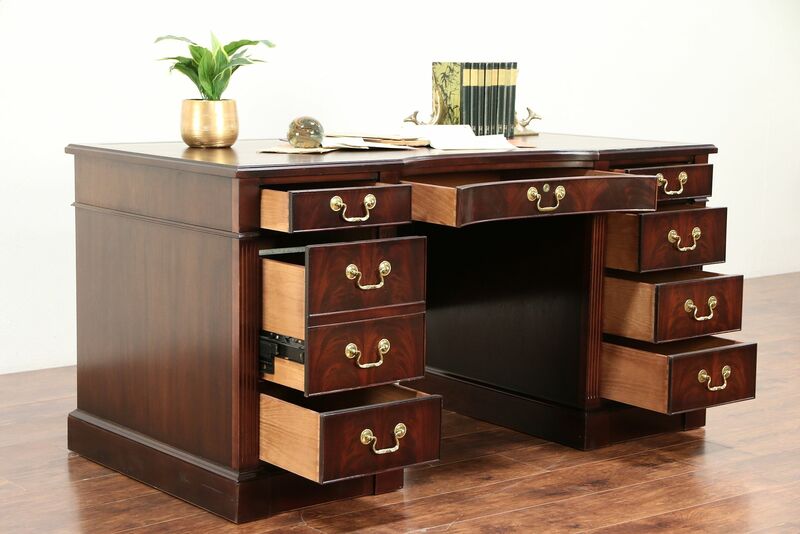 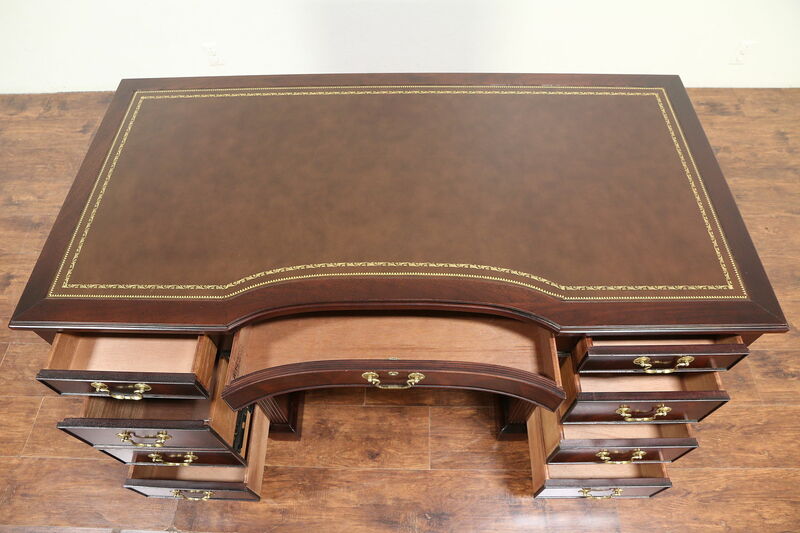 A traditional mahogany desk from about 30 years ago has matched flame grain panels, signed by famous maker, "Hekman." 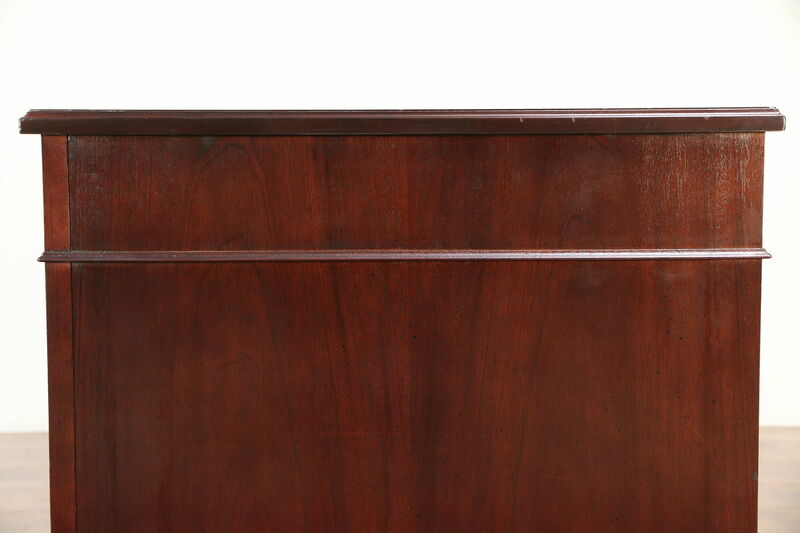 The restored finish is in excellent condition on this American made vintage library furniture. 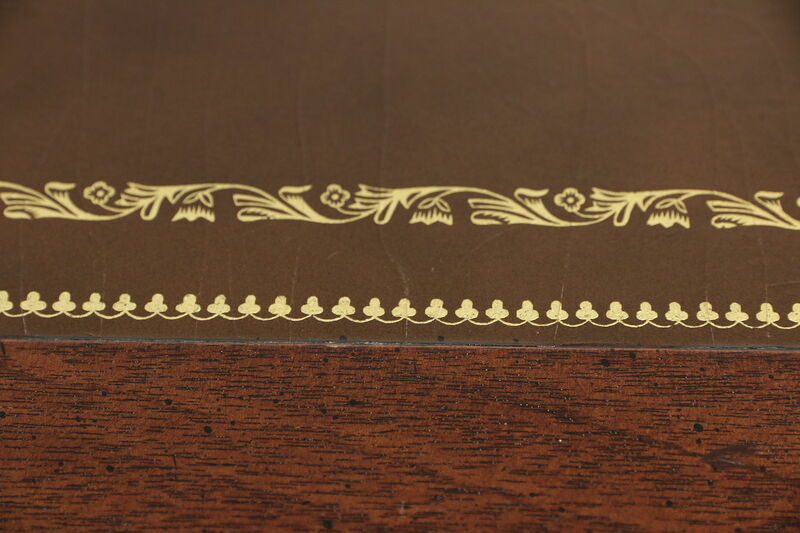 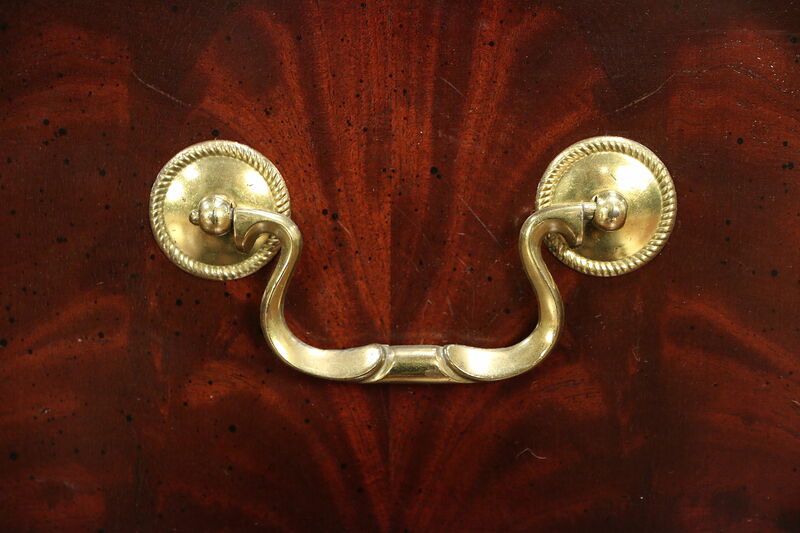 The gold tooled leather top has a crackled "antique" finish. 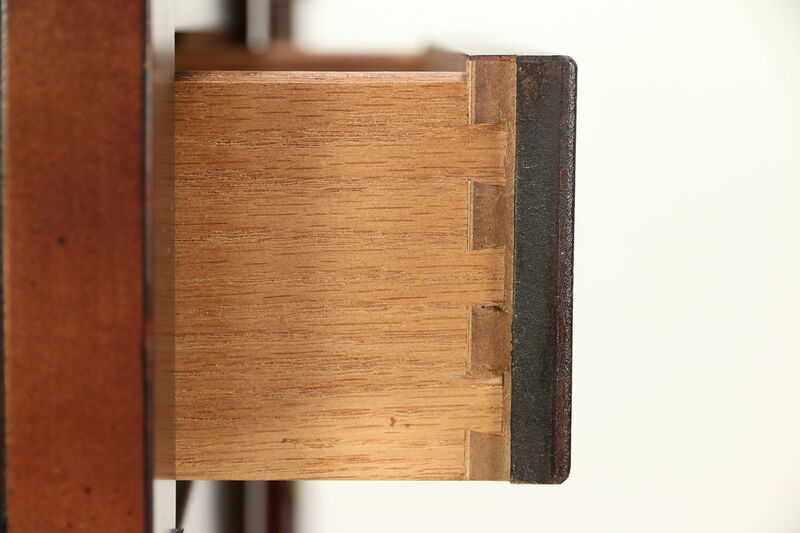 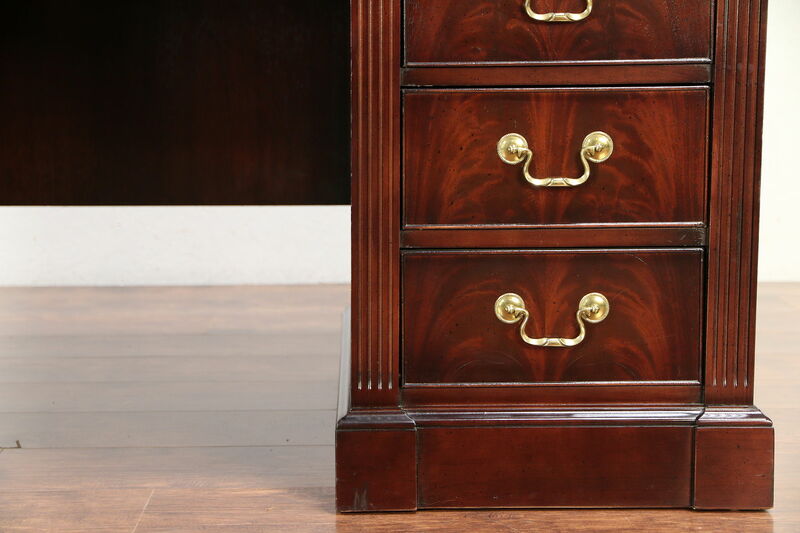 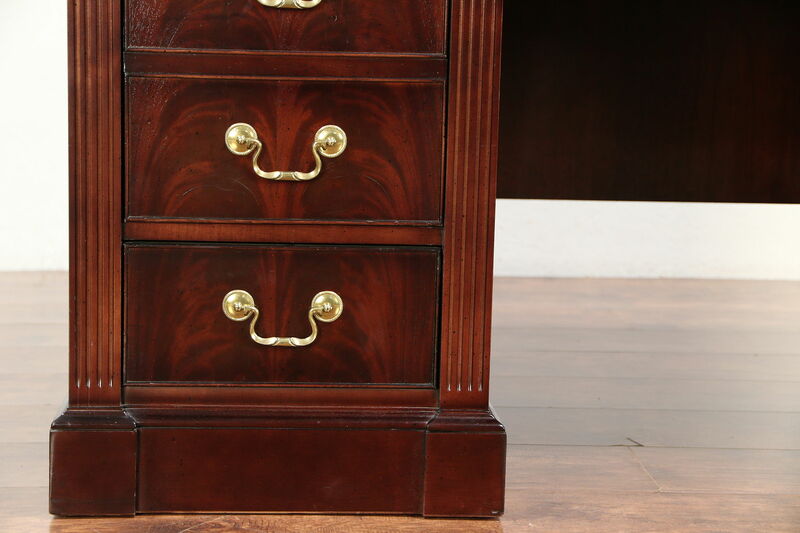 Drawers have original brass pulls and oak sides with dovetail joints. 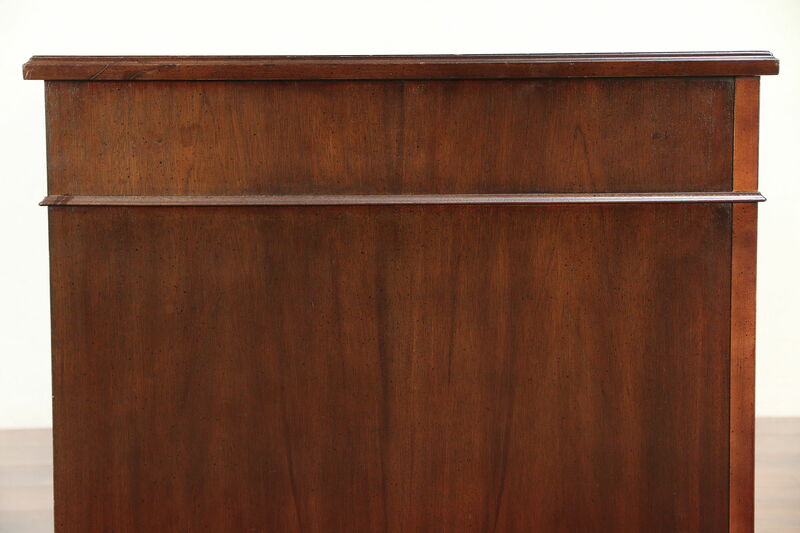 Measurements are 60" long, 30" deep, 30 1/2' tall and the kneehole is 24" wide and 24 1/2" high.